Humidifiers release steam or water vapor in the surrounding environment and effectively raises moisture levels in the air. This helps ease problems caused by dry air and keeps the air in a home comfortable. Humidifiers improve energy efficiency, reduce airborne illnesses and help protect your home from dry, cracking wood. There are multiple types of humidifiers to choose from. Before installing, it is important to find the best humidifier for you and what will fit the needs of you and your home. Humidifier installation depends on a variety of factors including the square footage of the home, average ceiling height, and indoor and outdoor temperatures. Controlled Aire’s experts can help you find the perfect humidifier for your home! Get started on your humidifier installation today! Steam humidifiers are the most effective model to install. However, steam humidifiers can have higher installation and operating costs. This type is excellent for large homes, or homes needing precise humidity control. Steam humidifiers benefit wood floors and furniture by keeping them in their best condition. In the winter, dry air can cause wood to crack and become damaged. These cracks can ruin floors and furniture. Not only is it unsightly, but splits can develop in walls, wood doors can develop gaps, and the legs of chairs and tables can become wobbly. Steam humidifiers require light servicing as well as annual maintenance.This ranges from a simple cleaning to cylinder replacements. Maintenancing your humidifier ensures that it is running properly and emitting the correct amount of humidity into your home. Fan-powered humidifiers are installed with their own fan pushing the humidified air through the system. Fan-powered humidifiers can be installed directly into a home and run on their own – giving them the ability to humidify a home quickly. They distribute humidified air directly to the home, and are great for covering large homes. This type is highly efficient in converting water into humidity but may be slightly more expensive to install than other models. Fan-powered humidifiers are excellent for installation where space is limited. They don’t require any additional ducts and are ideal for homes where the HVAC system is installed in a small space. Maintenance-wise, fan-powered humidifiers only need an annual change of the water panel. Bypass humidifiers operate through the blower motor of an HVAC system. This system requires additional installation of a bypass duct. The humidified air circulates through this additional ductwork, then travels through the HVAC system before it is circulated throughout the home. The HVAC system must be running in order for this type of humidifier to distribute moisturized air throughout the home. Bypass humidifiers are sturdy and experience few breakdowns due to fewer moving parts that could malfunction. The water panel on this humidifier needs to be changed annually. Humidifiers make a home more comfortable, help protect expensive wood and even benefit your health. Humidifiers can soothe bloody noses, cracked lips and dry sinuses. Issues with dryness occur especially during cool winter months. Low humidity can even make you more susceptible to getting sick due to viruses progressing quicker in cold air. The combination of cold outdoor air and heated indoor air can wreak havoc on skin. Humidifiers are even great for babies, children and pets. When properly maintained, increased humidity can ease breathing related issues including asthma, allergies, and respiratory infections. Humidifiers provide added comfort and health benefits to every home they are installed in. It is important in a home to keep humidity set in an appropriate range. Too low and too high of humidity will negatively impact a home and its occupants. Low humidity can cause dry skin, itchy eyes and irritated nose and throat. High humidity can be uncomfortable as the air may feel stuffy. High humidity can even potentially be harmful and make you sick! Too high of humidity makes it difficult for your body to regulate its temperature and makes your system work extra hard to keep you comfortable. High humidity causes condensation that results in harmful bacterias, dust mites, and molds. Excess bacterias and viruses make you more susceptible to getting sick while dust mites and mold directly contribute to allergies and asthma flare ups. In excess, all of these factors, can contribute to an abundance of respiratory issues and asthma flare ups. To ensure your humidity is at the most beneficial level, make sure to have your home humidifier maintenanced and inspected by our team regularly. 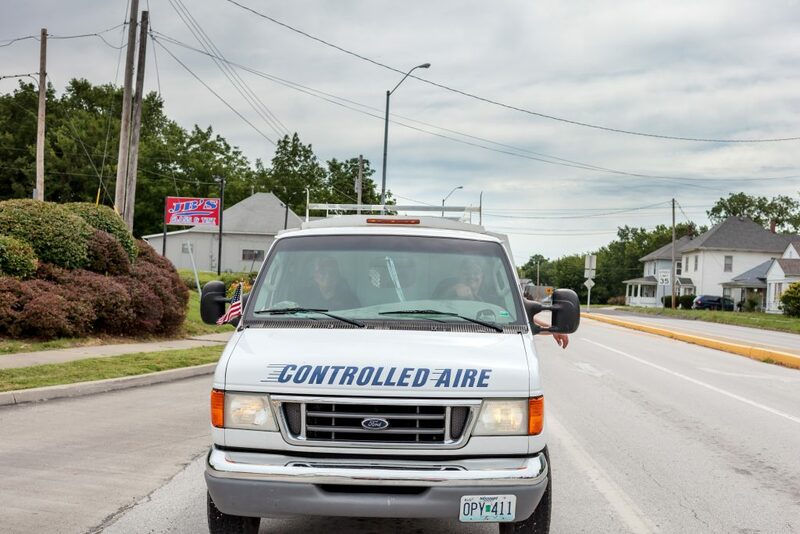 Contact Controlled Aire today for a quote on your new humidifier installation! © 2017 Controlled Aire | All Rights Reserved | Website by Lift Division.